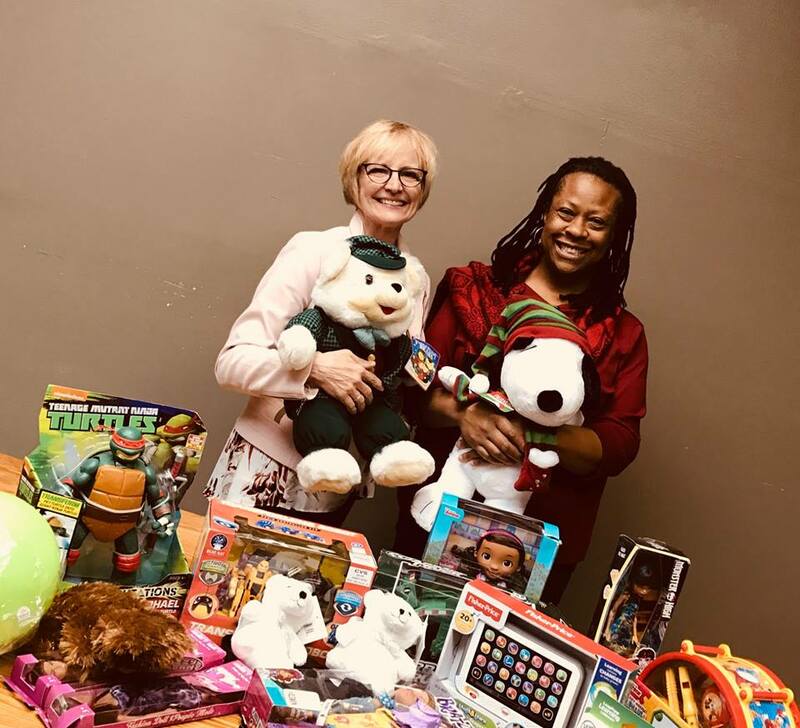 [NABJCC President Maudlyne Ihejirika delivers the organization’s 2016 toy drive donation to Martha Kenahan, Development Manager at Envision Unlimited, a Chicago nonprofit providing foster care, autism and community integration programs for disabled children and adults, 92 percent of whom are low-income.] Photo by Susie Shin. 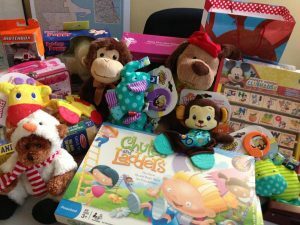 (CHICAGO) —On Thursday, December 7, the National Association of Black Journalists Chicago Chapter (NABJCC) will continue a holiday tradition that for the last 10 years has ensured needy children have toys, and needy students receive scholarships. The nonprofit organization will host the “Red Hot Holiday Party,” its 10th Annual Toy Drive and Scholarship Fundraiser, at Pazzo’s South Loop, 825 S. State St., December 7th from 5:30-11 p.m. The annual event raises hundreds of dollars in toys and scholarship donations to benefit needy and disabled children in foster care and group homes served by Chicago community organizations, as well as deserving high school and college students who rely on NABJ grants. The public is invited to bring a new unwrapped toy donation. Admission to the event is $25 in advance, or $30 at the door. Early bird tickets may be purchased at: http://nabjchicago.org/2017/11/08/holiday-party-2017/ The evening festivities include music, dancing, food and fun. As the local chapter of the largest organization of journalists of color in the nation, NABJ Chicago’s core mission is to increase diversity in the nation’s newsrooms and consequent coverage of minority communities. 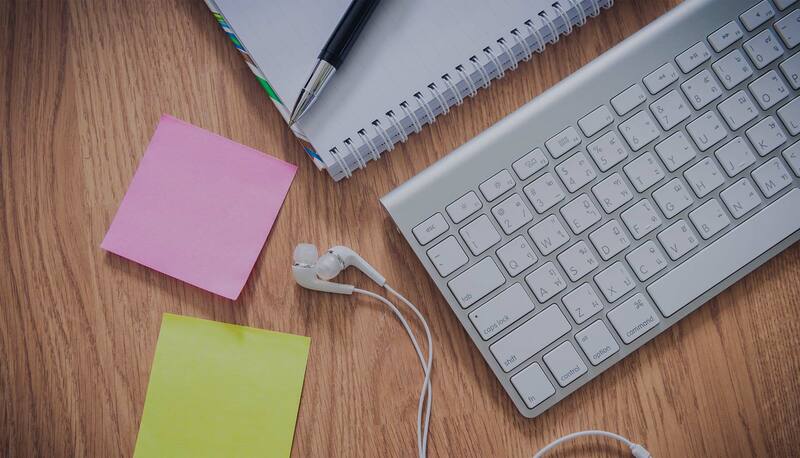 NABJ does this through ongoing mentoring programs to minority youth served by the Chicago Public Schools and nonprofit organizations, and by awarding financial assistance to needy students interested in pursuing journalism careers. In 2017, NABJCC awarded more than $3,500 in college scholarships Tens of thousands more have been awarded in the last decade to eligible students studying broadcast, print and online journalism; photography and graphic design; and integrated media communications. NABJ remains committed to: sensitizing media to the importance of fairness and diversity in newsrooms; working with colleges and high schools to identify and encourage black students to become journalists; expanding diversity in newsroom management; and promoting balanced coverage of the black community and society at large.